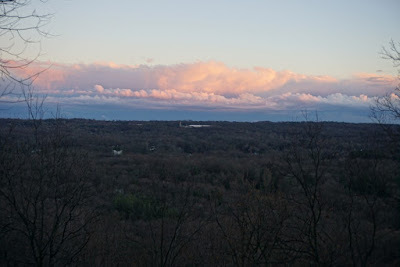 Once the storm ended, the sun came out, but it was less than an hour to sunset. 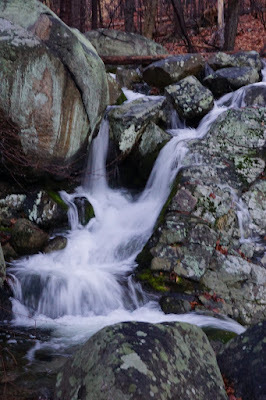 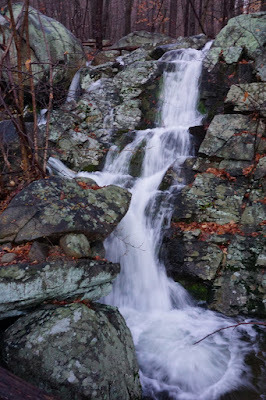 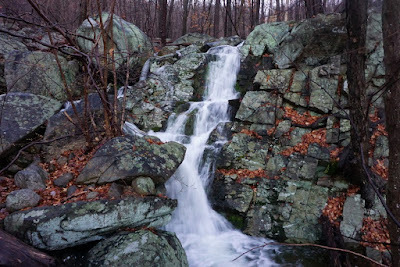 I then decided to do a quick sunset hike close by and also visit the Kakiat waterfalls, which I figured would be impressive after all the rain. 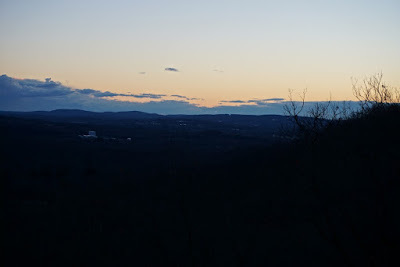 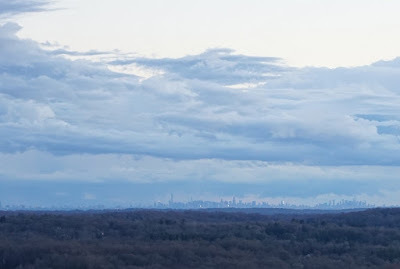 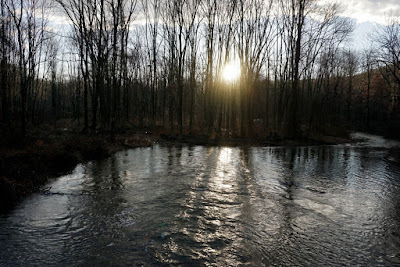 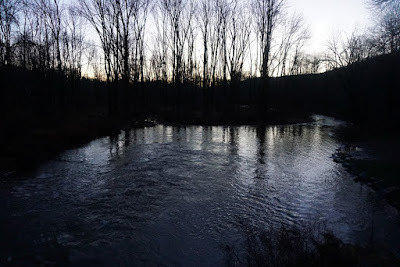 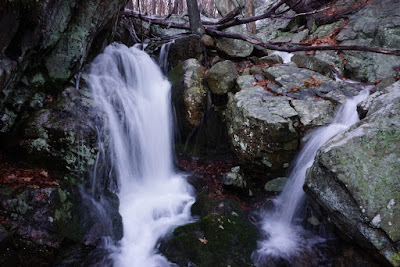 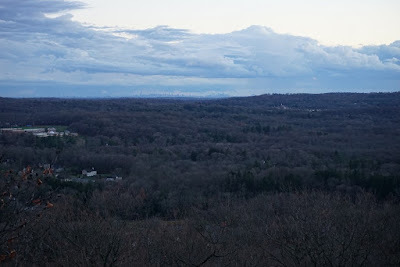 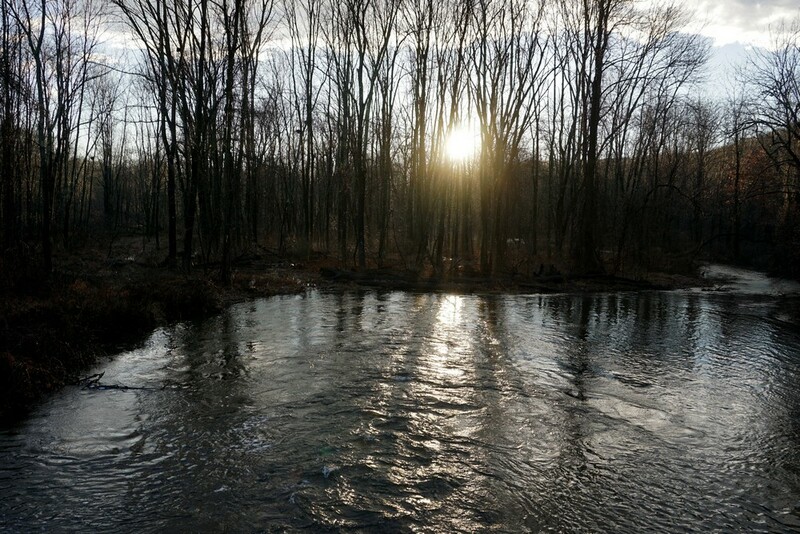 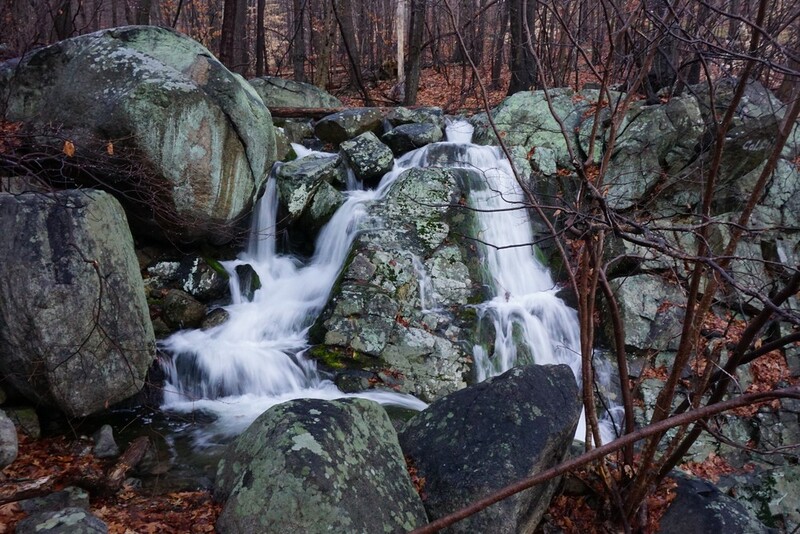 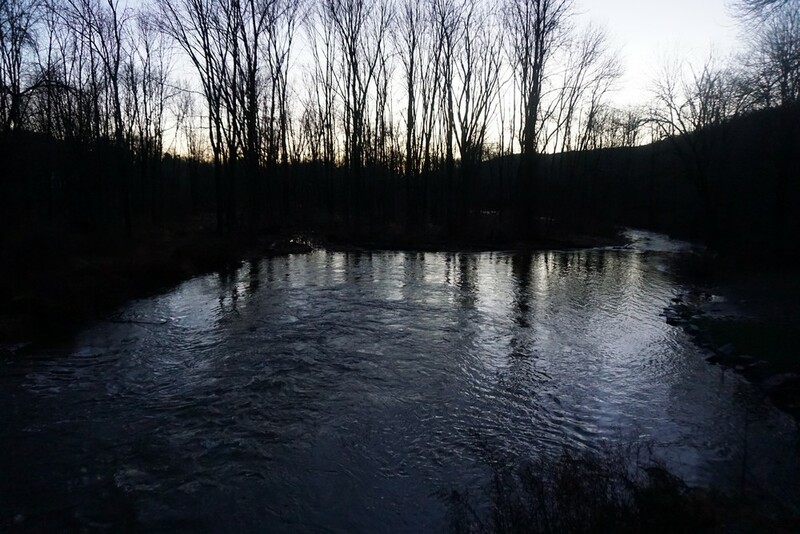 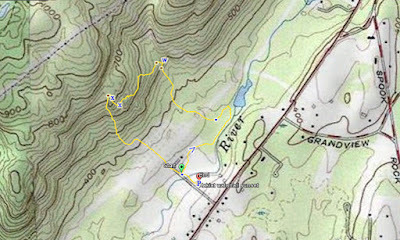 I parked at the Kakiat parking area, took the Old Mill Trail alongside the swollen Mahwah River, and then took the Kakiat Trail at the end of the Old Mill Trail to the foot of the mountain. 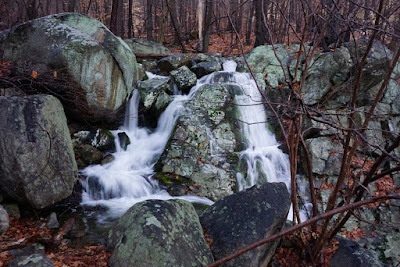 I climbed briefly, and then veered off to the stream to view the waterfalls, which were filled with water and indeed quite impressive. 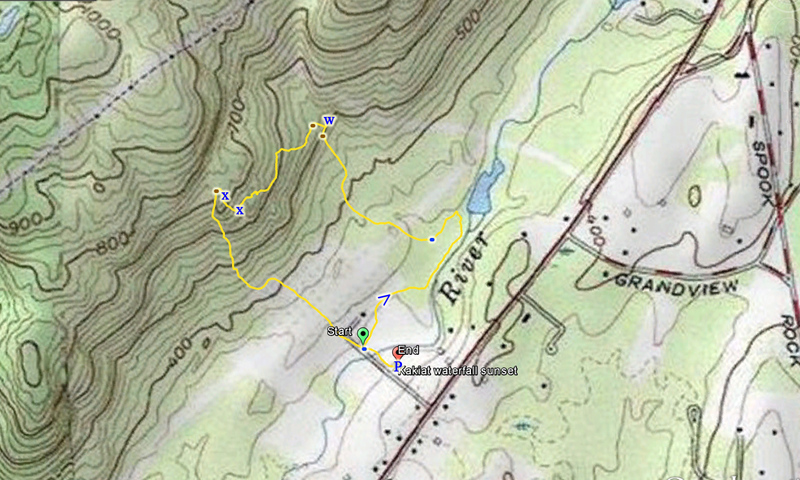 I then cut back to the Kakiat Trail, took it a bit longer, and then cut across to the south on a bushwack towards the lower Kakiat view. 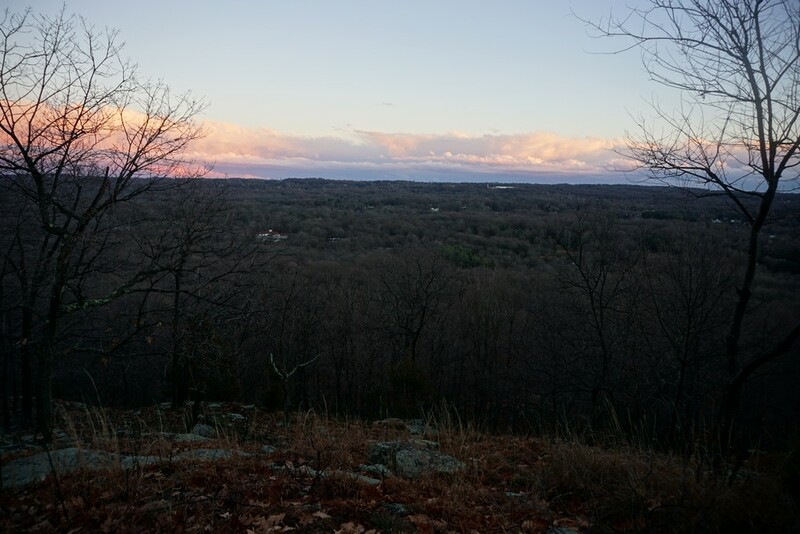 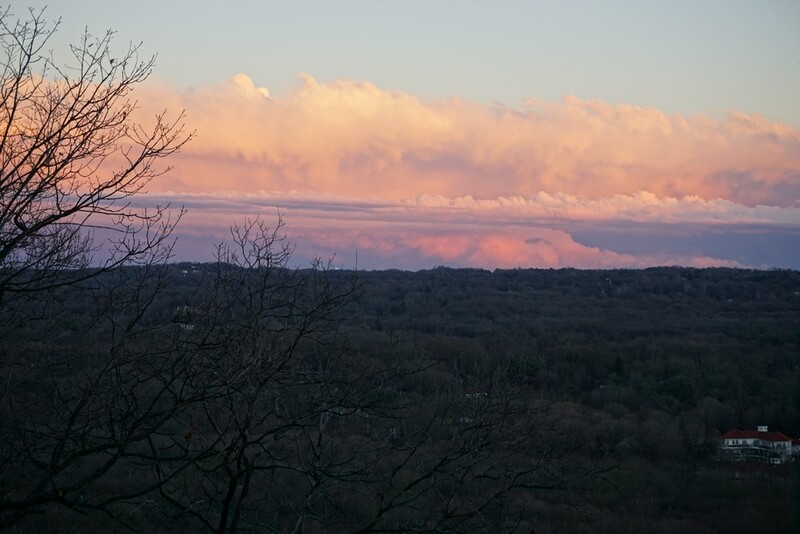 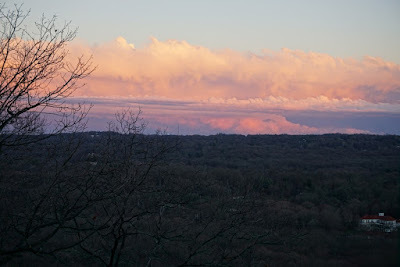 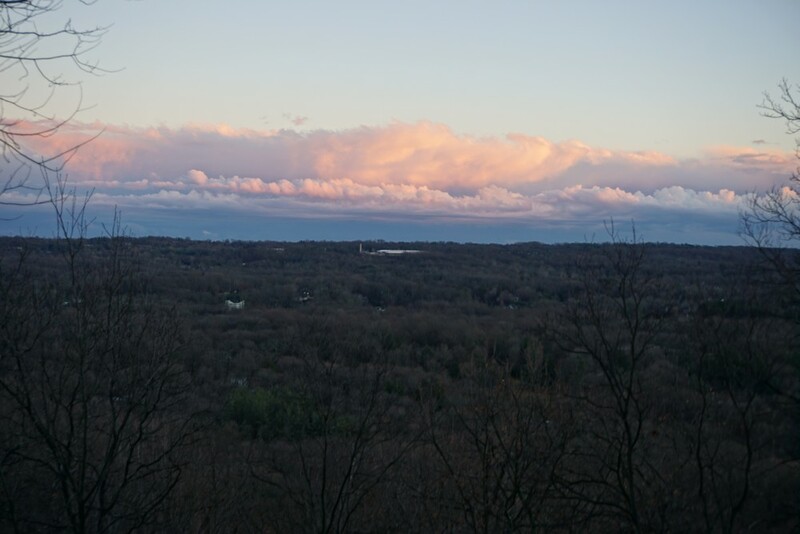 I experienced a beautiful sunset here at this view, with the puffy storm clouds still lingering in the distance. 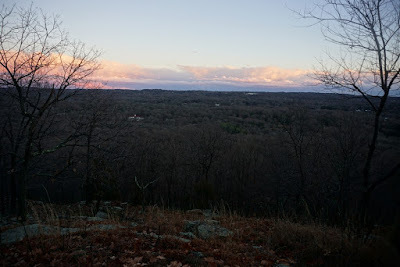 I then took the Old Mill Trail down the mountain, which took me back to the parking area.